When it comes to the best WordPress hosting, Bluehost tops the game. They have been around for long and with their innovation, they make it easier for beginners like you to get started with a WordPress website really fast. Fact: Bluehost is officially recommended by WordPress.org as an idle hosting for WordPress. In 2019, Bluehost has actually made installing WordPress on Bluehost a piece of cake. Infact, they have automated the whole process. That means, now when you buy any hosting package from Bluehost and complete your purchase, WordPress will be installed automatically. So, now no need for complex installation process that you need to do with other similar hosting companies. So head over to Bluehost using below discounted link, grab the package you want and within minutes your WordPress website on Bluehost will be up and running. Below Bluehost, WordPress installation steps are no more necessary. However, you can still use it when you have added another domain and need to add WordPress to that. For newbies, BlueHost offers premium shared hosting for WordPress, and they offer 3 shared hosting plan that is idle for a new WordPress website. In this guide, we will learn how to Install WordPress on Bluehost in 5 minutes. 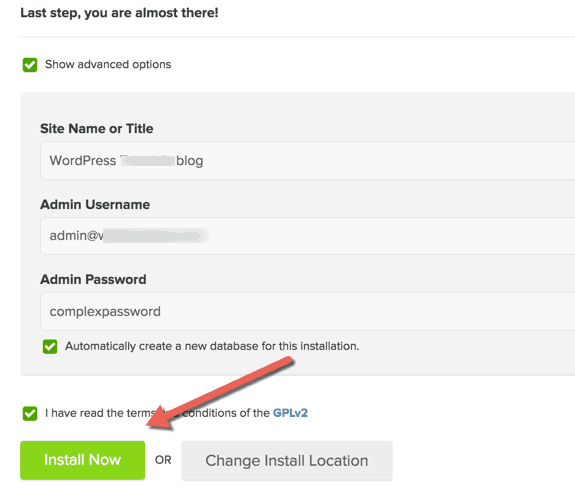 You don’t need to be a technical guy to install WordPress, as this tutorial contains step by step guide to getting WordPress on your account. Before we move ahead, BlueHost offers unlimited resources like Unlimited bandwidth, Unlimited storage, and one free domain. They are using the latest PHP and MySQL database for the faster server response. Just to let you know, their unlimited resources follow fair usage policy like any other shared hosting with unlimited resource offers. Before, we get to start you can sign up directly using this link, which also includes Bluehost discount. Login to your Bluehost cPanel dashboard and click on WordPress icon under Software/Services section. This will redirect you to the WordPress installation panel. 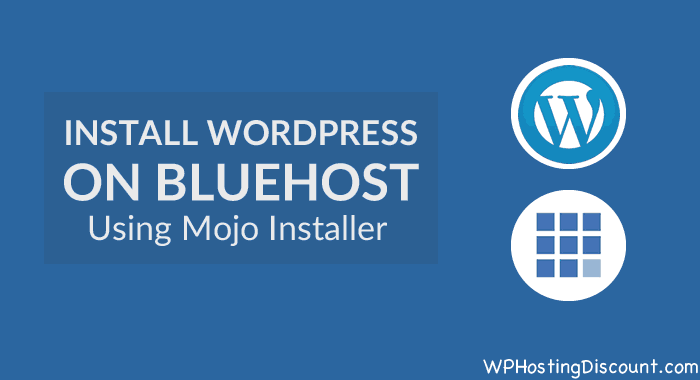 BlueHost uses Mojo one click installer that is a script that will let you Install lots of software’s with one click. On the next page, click on Install to start the process of WorPress installation. On the next screen, select the domain name on which you wish to install WordPress software. You can decide if you want to use www, or you wish to have the domain without www. I would suggest skip www as this era is all about short URL. Is int it? Here you can give your site a name, which you can change it later if you want to. For username and password, I suggest using any name as username instead of admin. Admin is default username for WordPress and security purpose, using admin is not suggested. Keep the checkbox at the part that says Automatically create a new database for this installation. Click on Install now to start the process. One you have installed WordPress on Bluehost, you will be getting an Email with login information, and now, you should Login and make basic WordPress set up to get started with your blog quickly. Set WordPress permalink to pretty permalink. Well, these are just some of the tips, and you can get on my WordPress guide post. And congratulations, you just got your WordPress site up and running on your new Bluehost account. If you are stuck anywhere in the installation process, do let me know via comments, and I will try to answer your query asap. It is very informative and interesting blog, thank you for sharing clear description of blue host word press installation, well done.